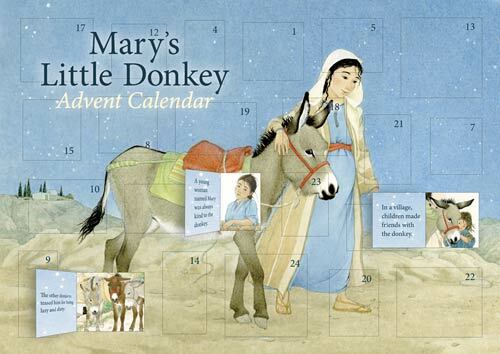 Experience the Advent season through the story of Mary’s Little Donkey. This beautiful, traditional advent calendar tells the story of Mary and Joseph’s journey to Bethlehem with the help of a very special little donkey. Lift each of the 24 flaps to reveal moments from this lovely Christmas story, accompanied by exquisite illustrations. Each window reveals a picture detail from the story with a short extract on the back. Mary and Joseph’s journey can be charmingly told, day by day, over the Advent season. Mary’s Little Donkey is also available as a full-length picture book, adapted from Gunhild Sehlin’s classic story and sumptuously illustrated by Hélène Muller with marvellous details of the Holy Land. Author Gunhild Sehlin (1911-1997) was a teacher in the south of Sweden and worked with children in Jerusalem. 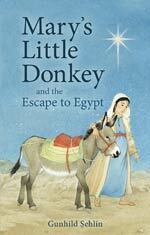 Mary’s Little Donkey has been widely translated. Illustrator Helene Muller was born in Paris in 1957, and studied at the Ecole Nationale Superiure des Arts Decoratifs in Paris. She has illustrated numerous books for children. 16 1/2″ x 11 5/8″, 2017.